As spring continues to warm the earth’s crust, a frenzy of growth converts barren landscapes into lush glades, and the leaves of plants and trees emerge in a thousand shades of green. They are powerful conduits of the earth’s Life Force of birth, development, and creation, and of the power of nature’s constant renewal. The green crystals are the natural birthstones of those fortunate enough to be born in the heart of spring (April 20–May 20). 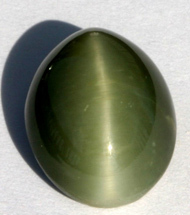 Crystals of pure green are potent aids in nurturing, whether of fledgling family relationships or new business ventures. They are the symbols of new life in all its manifestations. Use them to encourage growth and development. With a project well started, a gleaming green tourmaline or emerald will ensure that your focus remains constant and your path stays one of successful growth and development. Green talismans are perfect for keeping a venture on course, a project on schedule, and a life on track. Green is the color of fertility and renewal, and the use of green talismans has a long history in aiding efforts to bring new life into a family, a community, or an organization. It is also the color ray of productivity, progress, prosperity, material success, and advancement. Green talismans are potent for efforts directed at career advancement. The darker green minerals and gems such as chrome tourmaline and aventurine have the strong element of growth muted with the deeper tones of the power, perspective, and mystery of black. These are the crystals of physical growth, and they are excellent aids in your efforts to become stronger, to become more flexible, or just to get into better shape. In lighter tints, the green crystals are excellent for promoting spiritual growth and renewed commitment to a higher purpose.. Spiritual growth can have many manifestations. Certainly, the light green crystals can help us focus our efforts to improve our devotion to high ideals and strengthen our religious faith. 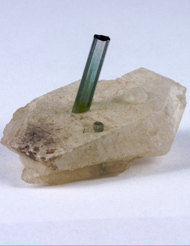 For more information on the power of Green crystals read The Seven Secrets of Crystal Talismans.